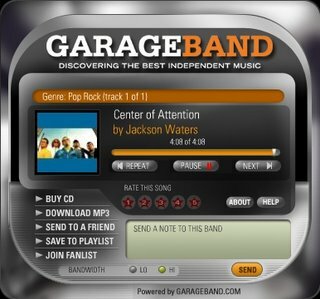 Garageband is a good music site, that lets you browser independent music around the world, you can listen these songs online with its MP3 player. If you are a musician you can upload your music and get free MP3 host page. If you like these music you can buy them. It gas a big community, you can talk about music with other members.